By today all the British gains are abandoned except for a portion of the Hindenburg line around Havrincourt, Ribécourt and Flesquières. The steamship S S Earl of Elgin (Master James Leslie) is sunk by a submarine 10 miles west from the Carnarvon bay Light Vessel. Her master is among the 188 killed in the attack. Major Raymond Douglas Belcher DSO MC (Royal Field Artillery) is killed in action at age 34. 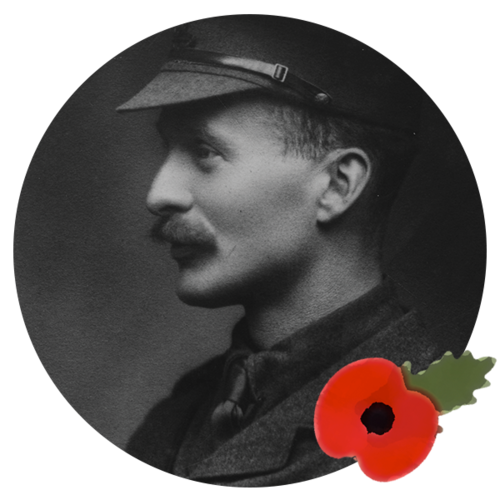 His is the son of the Reverend Thomas Hayes Hayes Belcher Rector of Bramley and is the last of three sons of his to be killed in the Great War. Lieutenant Christopher Morse (Royal Engineers is killed in action at age 26. His twin brother will be killed in October 1918. Private Robert Prevett (Leicestershire Regiment) dies of wounds. He is an excellent local football player. Private Albert Bower (Coldstream Guards) dies of wounds as a prisoner of war at age 29. His brother will die of influenza in December 1918. Private George Benjamin Wright (Oxford and Bucks Light Infantry) dies of pneumonia as a prisoner of war in Bulgaria at age 21. His brother was killed on Gallipoli in August 1915. Private Leslie Wallace Ayling (London Regiment) is killed at age 24. His brother was killed exactly six months earlier.